Yongyi Mao received his Bachelor of Engineering degree at the Southeast University (Nanjing, China) in 1992. In 1995, he received his medical degree at Nanjing Medical University (Nanjing, China). In 1998, Yongyi Mao obtained his Master of Science degree at the University of Toronto, in the Department of Medical Biophysics. In 2003, he completed his PhD in electrical engineering at the University of Toronto and joined the faculty of School of Information Technology and Engineering at the University of Ottawa as an Assistant Professor. He was promoted to Associate Professor in 2008 and then to Full Professor in 2012. 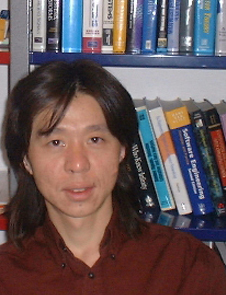 Yongyi Mao's research includes communications and machine learning two main areas.